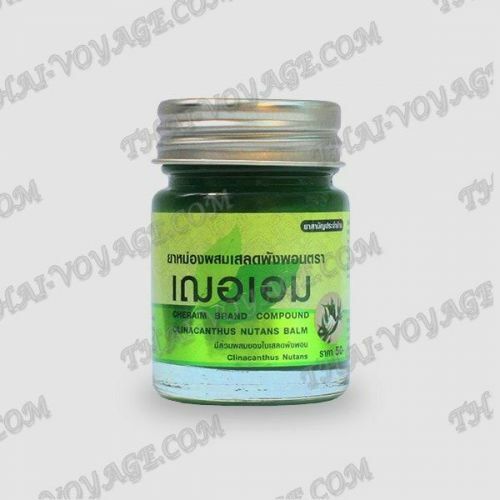 Green Thai balm Cheraim Brand extract of Clinacanthus Nutans (Lindau) is a natural local irritation and warming pain reliever. Green balm with Lindau effectively fights viruses and infections, helps in the treatment of sprains and muscular pains, for bruises, reduce swelling and help get rid of bruises. 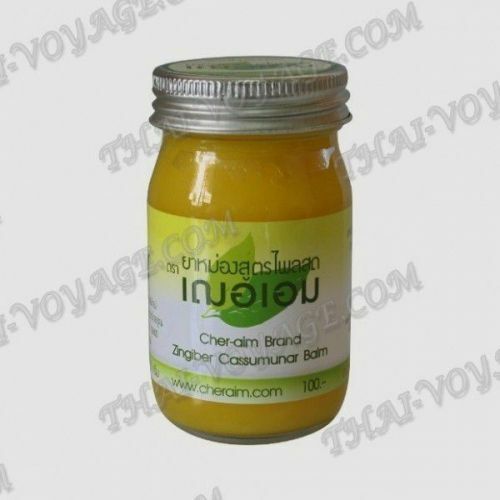 Cheraim yellow balm with Ginger extract is a natural local irritation warming and analgesic action on the basis of ginger root, one of the most delicate Thai balms with a mild ginger scent. Ginger balm has a slight warming effect, and pronounced relaxing and pain relieving effects. Ginger balm is used for varicose veins, relieve swelling legs, eliminate fatigue and pain in the legs. 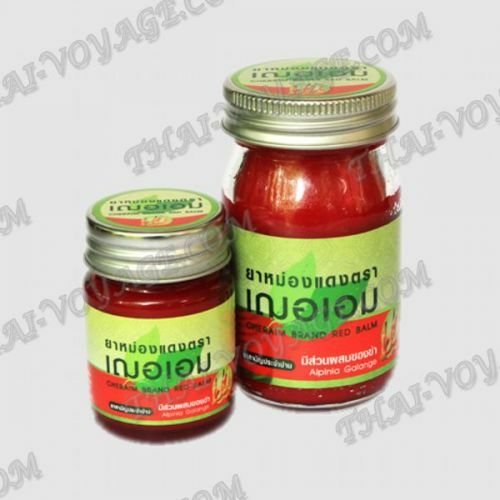 Red Thai balm Cheraim Brand with extract of Alpinia Galanga – eliminates dizziness for motion sickness and motion sickness in vehicles, relieves itching, burning and swelling when you are insect bites, relieves muscle pain and pain associated with sprains, swelling, and inflammation of the joints, contributes to their recovery. Alpinia Galanga extract is effective in treating sprains and muscular pain, bruises, swelling and inflammation. Relieves muscle spasms, inflammation, heals the joints and improves the condition of neuralgia, degenerative disc disease and pinched nerves. - a balm used to treat colds, RUB the chest when coughing. Application: apply a small amount of balm to desired area and RUB in until completely absorbed. When sickness and pain to lubricate temples and the area around the nose. Contraindications: hypersensitivity, idiosyncrasy components. Do not apply on damaged skin, wounds and burns. Avoid contact with eyes and mucous membranes. For external use only.